How a Drunk Driving Lawyer Can Benefit You? A Franklin County drunk driving attorney can begin working for you within hours of your arrest for operating a vehicle while intoxicated (OVI). In fact, starting the defense as soon as possible can be essential when the arresting Ohio police officer has given you an administrative license suspension. Working closely with a lawyer who has years of experience helping DUI/OVI suspects during the period between arrest and sentencing is also important for ensuring that the prosecution can prove its case. Substantiating a charge for driving under the influence of alcohol or drugs is often difficult, and weaknesses in the evidence often lead to having a case dismissed or to prosecutors agreeing to accept a plea to a lesser offense. An administrative license suspension can be lifted if it is appealed within the first 30 days. Without an appeal, the suspension without trial can remain in effect even if you are found not guilty of the original OVI charge before then. Worse, an administrative suspension applies to any commercial driver’s license (CDL) you hold. This means that people who drive for a living can lose their jobs just for becoming a defendant in a DUI case. Making the case for having one’s license reinstated to a judge is tough. Taking on the Ohio Bureau of Motor Vehicles, which is necessary to have a CDL suspension lifted, is even more challenging. Guidance and representation from a Franklin County drunk driving lawyer can drastically increase your chances for success. Securing an OVI conviction generally requires a prosecutor to present evidence from field sobriety tests and laboratory tests for alcohol and drug use. Testimony from the officer who issued the charge for driving under the influence is rarely enough without those tests. A judge will want to hear the law enforcement official’s account of what happened to raise suspicion of drunk or drugged driving, how the suspect behaved, and what happened between the traffic stop and when the arrest occurred, but having failed field sobriety tests or failed laboratory tests can be the tipping point. A knowledgeable drunk driving attorney will know how to question and challenge the officer and the tests. Your criminal defense lawyer will also make sure you have numerous opportunities to tell your story and explain any circumstances that may have led to suspicious test results, such as health conditions or use of prescription medications. Even when the evidence is weak, a prosecutor may press toward a trial. Negotiating an agreement for pleading to committing a less-serious offense instead of taking a risk in front of a judge or jury can make sense. 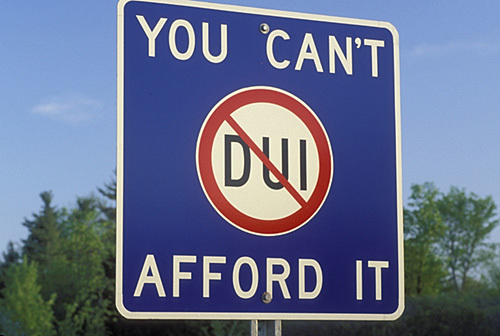 You will not want to make that choice without the advice of a drunk driving attorney. For instance, accepting a reckless operation plea can expose you to the same penalties as a first-time DUI/OVI conviction. Only a lawyer working in your best interest will ensure that you achieve the most favorable outcome for your case. If you are facing a drunk or drugged driving charge in Ohio, do not hesitate to contact a defense attorney. The Maher Law Firm has a strong track record when representing OVI clients and we offer free consultations. Call us at (614) 205-2208 or reach us through this website.